Right on the heels of episode 81, episode 82 opens up with the confrontation between Natsu and his Edolas self. 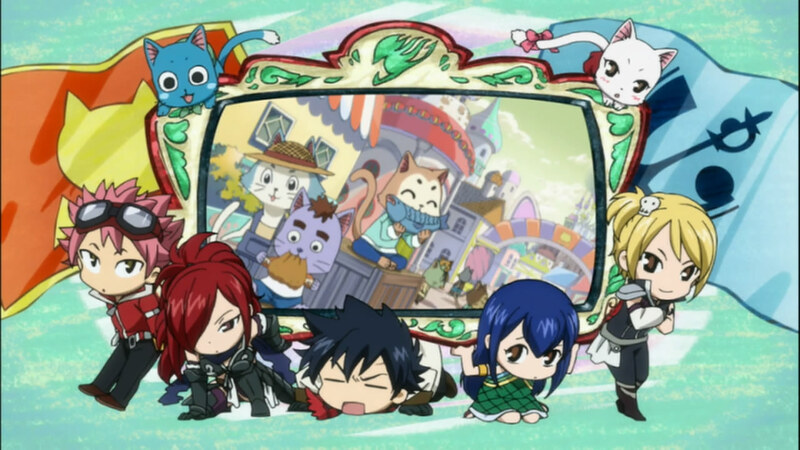 The interesting thing is that Edolas Natsu has actually already taken them to the Royal city, and so Natsu and co actually head on down. 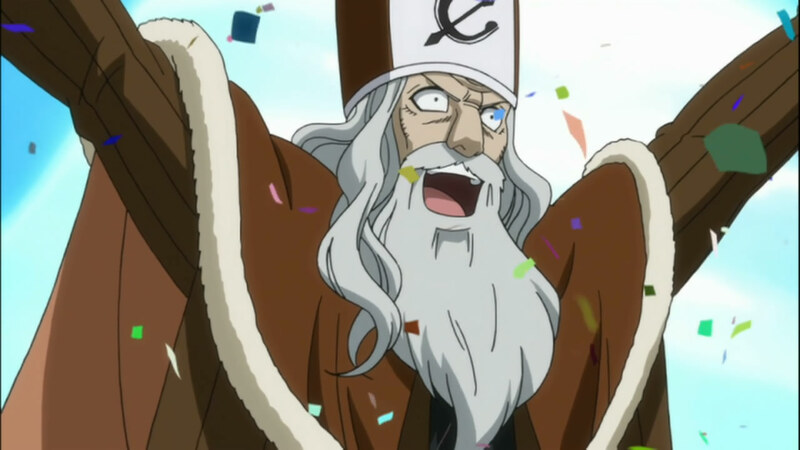 Now, given what we’ve seen of Edolas, I, along with Natsu and the rest, was expecting the Royal City to be some dark, oppressed place. It was infact, quite a prosperous place, with its citizens quite happy. I’m sure that must’ve been frustrating for Natsu and the rest, along with Gajeel to see. Even if the people are happy, its kind of digusting that they’re so happy on stealing another world’s magic, and not only that, but pretty much killing the citizens of another world’s city to get their power. I liked Gajeel’s comment on how Faust was manipulating his citizens with a speech like the on e he gave. Faust is definitely pretty twisted, but he’s more of a maniplating clever king, than the old tyrannical old coot I imagined him for. 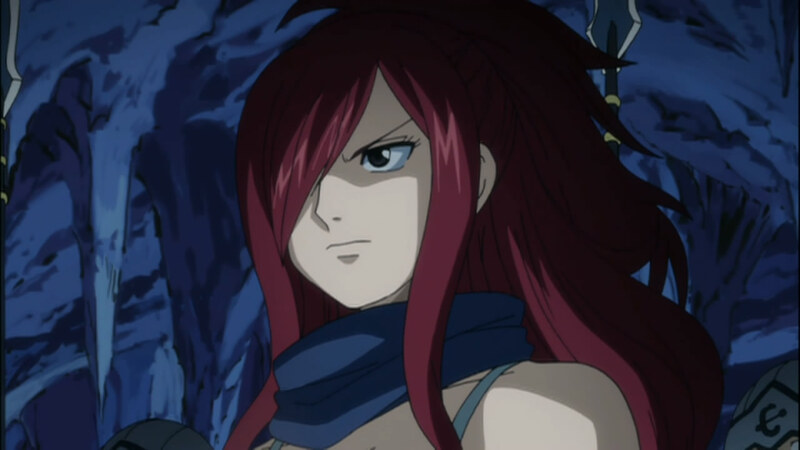 I guess Natsu and the rest have their work cut out for them, as Faust obviously has Charisma and probably has the undying loyalty of people like this world’s Erza. And That Kids, is how you light a fire with sticks! I feel really bad for Natsu in this arc. 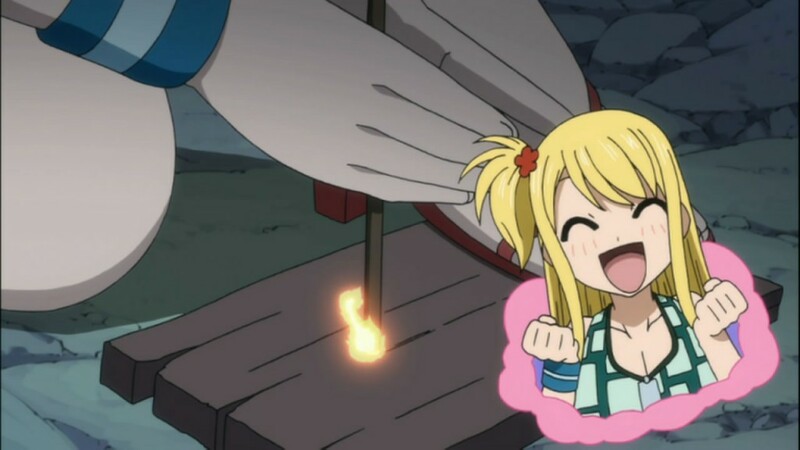 Earlier questions of whether Natsu could use magic by eating fire were answered, as Natsu apparently can’t, This results in a rather hilarious sequence where Natsu and Lucy end up trying to light a fire for their torches by rubbing sticks. Natsu, of course, fails miserably XD But thanks to Lucy, they are able to enter the tunnel. Happy: Carla, there’s no fish!!!! 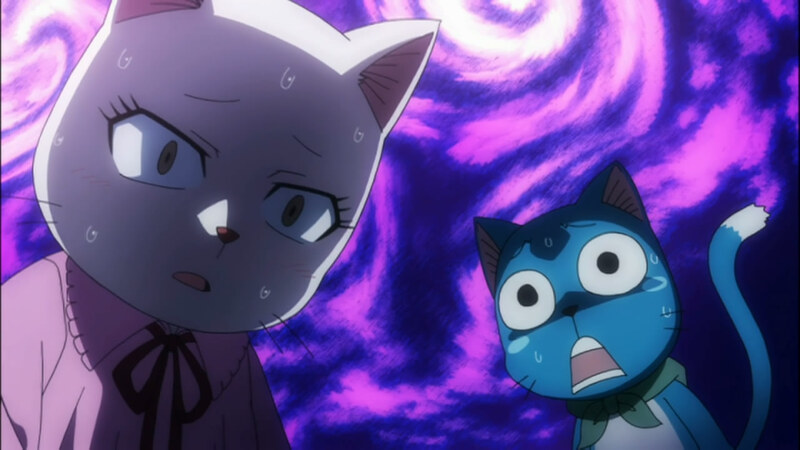 Carla: WHAAAT?!?!?!?! 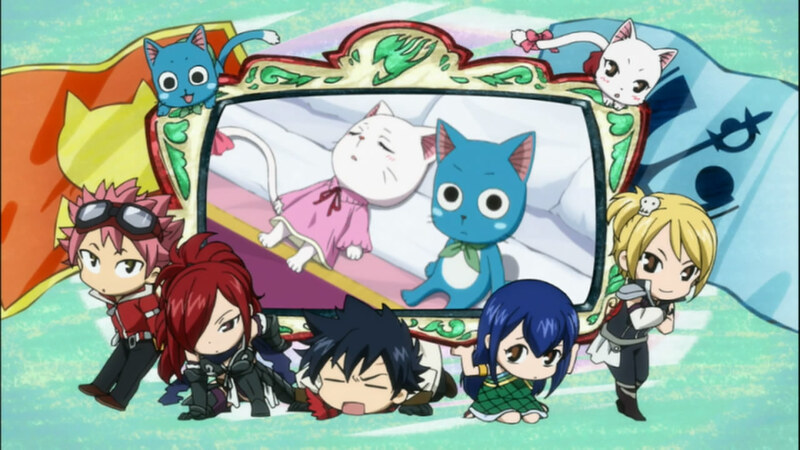 In many ways, not a lot really happened this episode, beyond just the Earthland Fairy tail guys realizing what exactly was happening and getting captured. I’m wondering if there is actually going to be even some fighting this arc, and the idea of there not being any is kind of interesting. Either way, pretty decent if a bit slow moving episode. There was obviously tons of filler padding this episode out a bit. Seems like we’ll actually learn more about the Exceeds next week! See ya all next time!